Shanghai is China&apos;s largest port city which means it has experienced its fair share of inbound influences throughout the centuries. Especially since the Qing Dynasty, the city has been bombarded with traders from all over the world, lending it to be such that its living population is densely set with both Chinese nationals and foreigners. It has truly become an all-embracing city for all walks and backgrounds of life. Because of this thickly swirled mix of different cultures within a single metropolis, the gastronomic tendencies of the citizens&apos; tastes have both blended with each other and also worked hard to preserve their essences. As far as food and drink is concerned, several big culinary blocs have poured into Shanghai one after another. 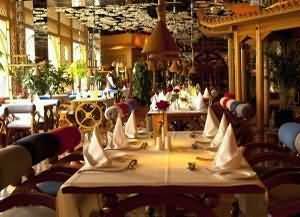 Below we present some of the best places and categories of restaurants to enjoy in lovely Shanghai. Cantonese-style dim sum dishes from the southeast region of China are very delicate in structure and flavor. Dim sum originated from the Guangdong region and is extremely popular among the Cantonese area that includes cities such as Hong Kong, Guangzhou, and Shenzhen. The top restaurants in Guangzhou can offer hundreds of type of dim sum fresh daily and simultaneously. 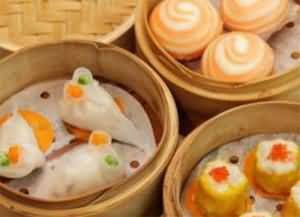 Dim sum dishes can be divided into 6 categories: steamed, dessert, variations of porridge and fried, shrimp dumplings and shiumai, egg tart, and BBQ pork. All these dishes are served in small portion sizes much in the way of Spanish tapas, making them the ideal way to try many different flavors without the commitment of a full-sized meal and for sharing with friends. Here are 5 of the top dim sum restaurants in Shanghai. 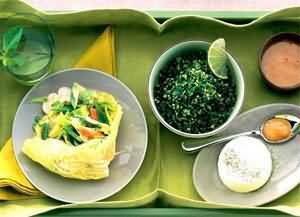 Missed breakfast, it’s not quite lunch time and too hungry to wait for lunch? 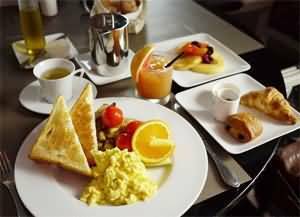 Then brunch is the meal you are looking for especially on a lazy late morning or early afternoon. Whether you head over in a daze, want to quietly read a newspaper, watch some TV, or chat with friends and family, brunch is the best way to wind down after an energy-consuming week. Eating slowly and enjoyably, brunch allows diners to relax while losing time, and that’s a good thing! Here are our top picks for brunch in Shanghai. This immense city looks even more impressive from atop. At these top Shanghai restaurants with panoramic bird’s eye vantages of the city, you will be able to enjoy an exclusive dining experience along with one of the most premier sights in the world. 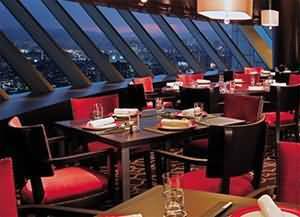 These restaurants offer excellent food, quality service, and best of all, a breathtaking view of the urban metropolis. Here are our recommendations for the top Shanghai restaurants with killer views. Want to have it all, and at once? A buffet dining experience may be what you are looking for. These recommended Shanghai buffet restaurants allow you to try countless Shanghai, Chinese, and international foods for just 1 entry price. Whether you find a few dishes to stick with or are curious about everything they have on display, these all-you-can-eat restaurants will surely leave you feeling more than full. The distinguishing flavor in Indian food is curry, which is used in conjunction with fish, meat, vegetables, other spices and herbs, and essences such as garlic and onion. The natural flavors of these ingredients becoming intertwined with those of the curry, yielding richness that is very different from those found in traditional Chinese food. Typical Indian dishes include garlic mutton and fried crispy vegetables, curry chicken, and much more. Be sure to follow up your hearty meal with some Indian milk tea and other dessert on our recommendation. Try some authentic Indian dishes at our top choices here. Whether you are looking for specific authentic Chinese restaurants to Japanese to Indonesian or Western cuisines, here are our choices from the many specialty restaurants found in Shanghai. Here are 2 of our most favorite typical Shanghai snacks in this city. Flaky and crispy, this snack is aromatic and delicious. Its name is because it is as brown as cooked crab, and there is also crab, green onions, pork, shrimp, sugar, mashed beans, and jujube paste inside. This fried snack with a pastry cover is filled inside with mashed dates. It is very popular with visitors from Hong Kong, Macau, and Japan. See here for more of our best suggestions on where to get your sweet tooth satisfactions in Shanghai. While the Chinese diet is heavily centered around meats and seafood, the rise of vegetarianism is gaining a stronghold. However, there is much Buddhism fare that is meat-free. Shanghai’s vegetarian restaurants are often religious themed and serve vegetable-based dishes that resemble chicken, duck, pork, beef, and even seafood. Bean curd is a very common meat substitute. These restaurants are also sometimes rustic in theme as a type of simplicity and modesty. See here for our top Shanghai vegetarian restaurants. Sichuan style food is one of the most famous in all of China. It is characterized by its spicy nature due to typical ingredients such as chili, pepper, and more. Chinese prickly ash, fermented soy beans, cooking vinegar and sugar, and various ancient spices are used to make elaborate and complicated sauces in fish, litchi, and spicy flavors. Be sure to try the fish-flavored shredded pork, kung pao chicken (spicy chicken fried with peanuts), yanjianrou (double fried pork), ma po bean curd (stir-fried bean curd in hot sauce), hog innards hot pot, dry fried shredded beef, husband and wife’s pork lung slices, lantern shadow beef, dandan noodles (hot and spicy noodles), tangyuan (dumplings made of glutinous rice flour served in soup), and longchaoshou (dumpling soup or wonton known in north China). Here we share our top suggestions on where to find the best Szechuan food in Shanghai. Shanghai might not be the capital but it sure loves food from the capital. Beijing cuisine is tied to Shangdong cuisine and includes the styles and tastes of many of the northern tribes such as the Hans, the Mengs, the Mans, the Huis, and more. 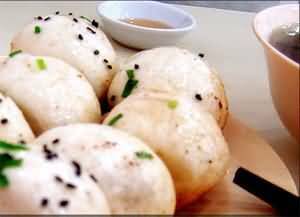 Today the cuisine has very unique characteristics of its own. The raw and fresh ingredients really make your taste buds pop. Don’t miss out on some delicate Peking duck, shuanyangrou (instant-boiled mutton), boiled pork, sabuzhan (sweet custard made with egg yolk, sugar and oil), sour and chili fish, stir-fried diced chicken with soy sauce, roast meat, crisp fried fish slices with distilled grains sauce, Wuliu fish (also known as five willow leaves fish), longxu mian (dragon beard noodles), doumiangao (bean-flour cake), xiaowotou (small steamed corn bread), rou mo shao bing (pancakes with meat-fillings), yundoujuan (kidney bean roll), ai wo wo (sticky rice with sweet fillings), and so much more to discover beyond these. Try some of our favorite Beijing restaurants in Shanghai today! Food from Suzhou and Hangzhou are known for their roots in history. Both are infamous schools of food in China with much of it based in seafood. Suzhou food includes seafood from Taihu Lake most commonly and is often sweet at least in some way. Dishes that originated in Hangzhou, on the other hand, also features much seafood from West Lake, one of the most beautiful and naturally significant areas in all of China. 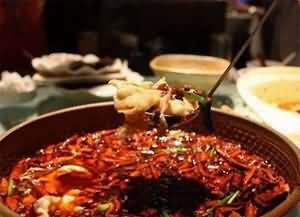 Hangzhou cuisine is light in flavor but also rich for enjoyment, with dishes such as West Lake fish in sweet and sour sauce, shelled shrimp with dragon well tea, West Lake water shield soup, and dongpo pork among the most beloved. See here for our top choices of restaurants in which to enjoy food from Suzhou and Hangzhou in Shanghai. Our local experts are always ready to create you a hassle-free tour. Get an authentic experience by contacting one of our specialists. Copyright © 1998 - 2018. All Rights Reserved to Shanghai Highlights.